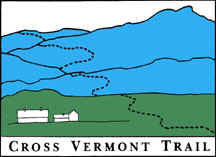 Mouth of the River route highlights a series of parks and trails along the Winooski River and Lake Champlain waterfront, ending where the Winooski River meets the lake, and forming a loop with the Cross Vermont Trail route between Williston and Burlington. Note that in several places busy urban streets must be used to link together the currently existing sections of path. Been out on the trail lately? Let us know what you saw. Would you like more of the route to be off road? You can help build more trail!